Here’s a hypothetical: it’s Memorial Day weekend and you want to go camping. 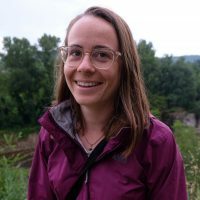 You’re scrolling through the online reservation system for camping options in northern California, and growing increasingly frustrated as you see your top choices are completely full. It’s a situation all too familiar when trying to go camping in northern California. Campgrounds in iconic locations like Yosemite National Park or along the Central Coast often fill up within minutes when reservations are opened six months or more in advance. If you’re a last-minute planner like me, this can be dispiriting and difficult. Luckily, there’s an abundance of camping options in northern California that take no advance reservations, if you know where to look. Some of these campgrounds have policies in place to cater specifically to last-minute planners. Some of them are just off the beaten path, and all of them offer an equivalent, if not better, nature experience to the more iconic locations. Image from The Dyrt camper Asher K.
There are a few strategies to landing a campsite in the peak season if you weren’t thinking about it six months ago. 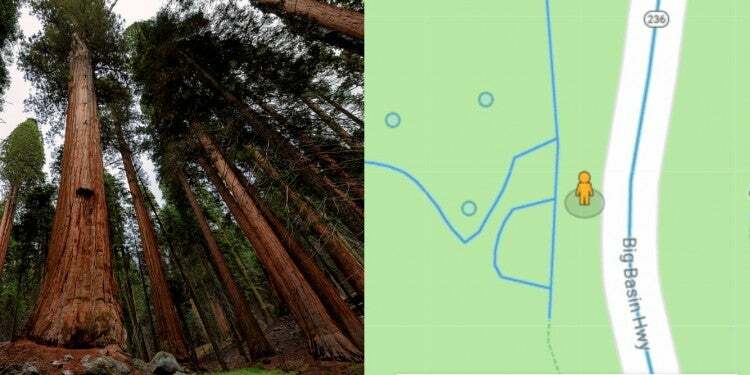 The first step is to figure out which places have walk-in campsites. The Dyrt offers a search filter for “walk-in” campgrounds, meaning campgrounds that are available only on a first-come, first-served basis. For a lot of these campgrounds, you’ll have to be hyper-prepared in the peak season—camping in northern California can be pretty competitive, to say the least. You’ll want to show up as early as possible in the morning and stake a claim to sites where previous occupants are leaving. Another strategy is to find less well-known northern California camping options, which might mean avoiding the national parks, or making a couple-hours drive. Many counties or cities have campgrounds where you can get a last-minute reservation, like at Sonoma County’s Stillwater Cove Regional Park. Others you can just walk up, like at like Santa Clara County’s Joseph D. Grant County Park. There are also dozens of campgrounds in the national forest system where you can be guaranteed to find a spot, even during the busy summer weekends. 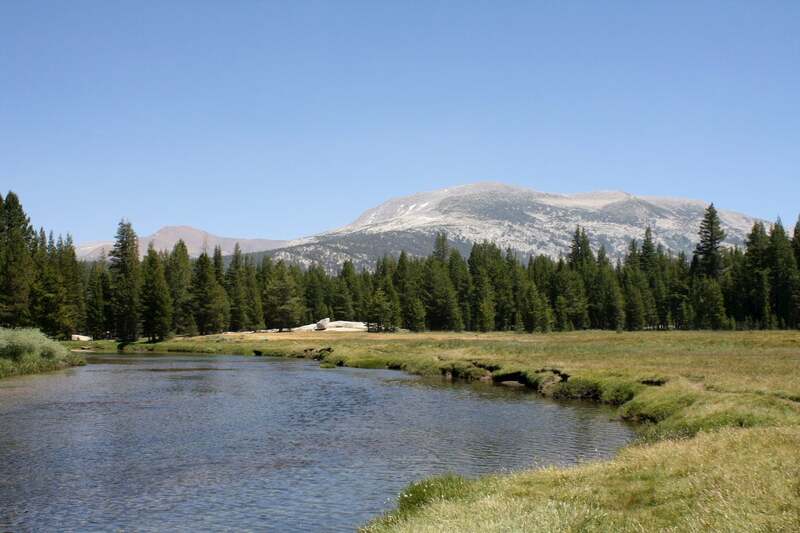 The campgrounds in Sierra National Forest, Eldorado National Forest, and Inyo National Forest tend to have less amenities, but are also farther away from highways or urban areas. The campgrounds below, while being available last-minute, don’t sacrifice any natural beauty for convenience. Camping in northern California last-minute is feasible at national, state and local parks—if you’re prepared. Here’s eight of our campers’ favorites. Image from The Dyrt camper Michelle C.
If you want to camp in Yosemite but don’t want to face the crowds in the Valley, head an hour and a half up Tioga Pass Road to Tuolumne Meadows. It’s one of the rare car-accessible campgrounds in the High Sierras. Located at 8,600 feet, the campground is only open during the summer months because of the snow. Half of the 304 campsites are reservable online. Half are reserved for walk-ups. During the peak weekends in July and August, there can be a line in the morning. Early or late in the season, though, it can be pretty easy to find a spot. There are spaces for RVs and trailers up to 35 feet. There are no hookups, but there is a dumping station along the road. There are six wheelchair-accessible sites reserved for those with disabilities. Each site has a fire ring, picnic table, and food locker. Restrooms have drinking water and flushing toilets, but there are no showers. The campground is a popular stopping point for thru-hikers on the Pacific Crest Trail and the John Muir Trail. There are hike-in campsites for those with a backcountry permit. There are also some group and equestrian campsites available. “This section of the park, while not as popular as the Valley, is arguably just as beautiful, and is much easier to secure camping. This campground is MASSIVE. Reservations can be made in advance, but we didn’t have any trouble finding a walkup site in the middle of June. The elevation here means that it gets fairly cold at night, even during the summer” — The Dyrt camper Leslie R.
Thousands of campers head to Big Sur every weekend to enjoy the stunning ocean views and lush redwood forests. 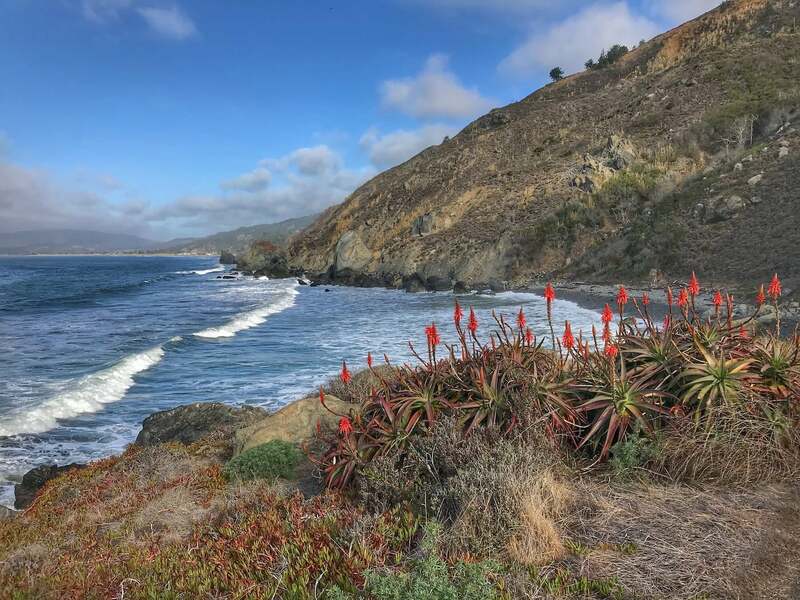 If you want to head to the region but you don’t have a reservation, your best bet is to try Andrew Molera State Park in the northern end of Big Sur. It has 24 first-come, first-served sites. The tent-only sites are a short ⅓-mile walk from the parking lot. They are in a big grassy field with views on the ridges and easy access to hikes and beaches. If you’re a surfer, be sure to bring your board and hit the waves at the nearby beach. If you’re not, there’s plenty of hiking available in the nearly 5,000 acres of the park. “It’s a little bit of a walk to the campsite, but there’s lots of wide open space and a neighboring trail that leads to the beach. You feel a little more secluded at this campground because it’s further from the road as less crowded than others,” — The Dyrt camper Alexa S.
Image form The Dyrt camper Kelly S.
Mount Tam, as it’s affectionately known, is the most iconic landmark in the Bay Area, at 2,571 feet tall. Located in Marin County just north of San Francisco, the peak offers sweeping views of the Bay and of the Pacific coastline. 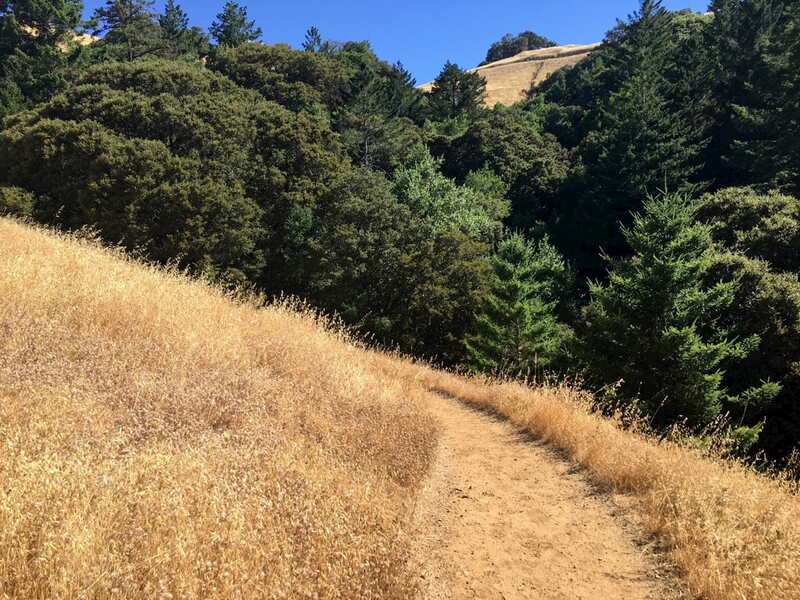 On sunny days, it can feel like the entire population of the Bay Area is there, hiking or biking the 60 miles of trails through redwood forests and grassy hills. The park’s five campgrounds, including two group campgrounds, are among the most in-demand camping sites in northern California. The stunning Steep Ravine environmental campsites and rustic cabins fill up online within minutes of opening up months in advance. Fortunately, the park has some no-reservation campsites available for those willing to get there early and wait in line. The 16 sites at Pantoll Campground are first come, first served. They are a short 100-yard walk from the parking lot. Each site comes with a table, rock barbecue and food locker. There is water and flush toilets nearby, but no showers. There is an enroute campground for self-contained camping vehicles who want to park overnight. 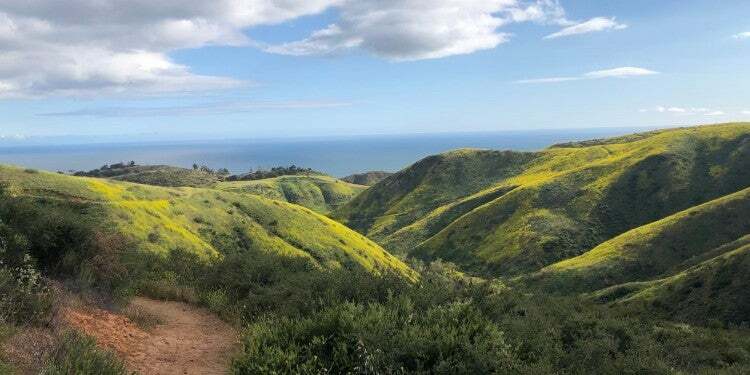 “My best suggestion if you have a half day (and hike fast) is to do the Matt Davis to Steep Ravine loop that gives you amazing overlooks of the ocean along with beautiful redwoods. The hike was strenuous and well worth it. If I had more time in the area I would have stayed at all the different campgrounds this park has to offer,” — The Dyrt camper Asher K.
Lassen, located in the wilds of California’s northeast corner, is other-worldly. The park’s namesake peak last exploded more than 100 years ago, but geothermal activity is still very present at sulphur vents, mud pots, and (very) hot springs. Lassen is much less crowded than other national parks in California, so you’ll have a better chance of finding a campsite anywhere here. The Juniper Lake campground in particular can be overlooked, since it’s nestled at the end of a 13-mile semi-paved road. Because of the steep and windy road, it is not for RVs. The 18 tent sites on the lake’s southeastern shore are first-come, first-served. There are two group campsites and a horse campsite available. There is no running water. Some of the other last-minute campgrounds in Lassen include Southwest, Manzanita Lake (a great family option), Summit Lake North and South; and Butte Lake, close to the famous Cinder Cone. “Unlike the impressive but always incredible Yosemite, Lassen is a gem of a national park rivaling Yellowstone, but without the crowds. There are mud pots, alpine meadows, and lakes to swim and fish in,” — The Dyrt camper Brian C.
Image from The Dyrt camper Jim N.
Northern California’s Gold Country, also known as Mother Lode Country, is an under-appreciated region loaded with some of the best camping in northern California. 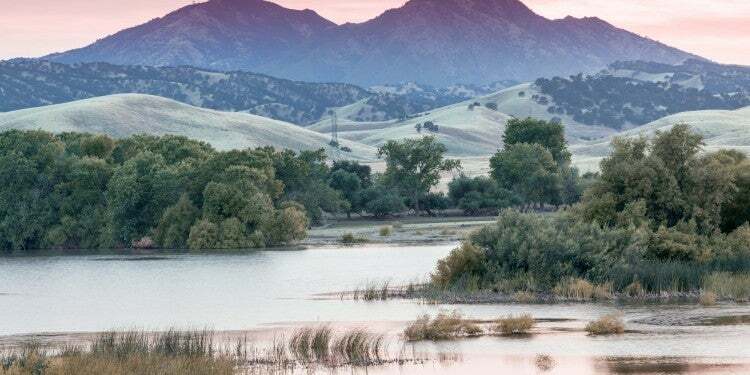 Located on the Western slope of the Sierras in Northern California, the region has plenty of historic mines and towns, as well as lots of hiking in the Sierra foothills and swimming, rafting or boating along rivers. One of the best ways to experience the region is at the Auburn State Recreation Area, which offers campers a bit of everything. It is south of Interstate 80, near the towns of Auburn and Colfax. The park covers 40 miles of the North and Middle Forks of the American River. Gold panning is allowed, though you should read up on regulations if you want to test your luck. The recreation area offers a number of campgrounds with varying levels of access. If you’re a paddle-in pro, there’s a boat-in campground on Lake Clementine, reservations are however required. Mineral Bar has 16 first-come, first-served campsites along the east side of North Fork American River. There is no running water, but there are tables, fire pits and dry toilets. Ruck-a-Chucky has 5 primitive first-come, first-served campsites on the north side of the river. There are trash cans and toilets, but no running water. “Once at the campground, right on the water’s edge, grab up the 3rd site on the right. It is literally on the edge of the river. Soak up some sun and enjoy the cool snow melt waters. (The current is much faster than years past due to excellent winter). If you’re lucky and know how to read the river, gold panning is a must! Bring your kayaks and rafts.” — The Dyrt camper Jason A. Dozens of sparkling alpine lakes dot the Lakes Basin Recreation Area of the Plumas National Forest, in the northern Sierras. The Gold Lake campground offers northern California camping along the largest of the area’s lakes, at an elevation of 6,400 feet. The campground is around 10 miles southwest of the town of Graeagle, off highway 89. The roads around the campground can be a little tough, so it’s best to research the conditions if you have a small car or big camping rig. There are also a few sites for camping trailers. All 37 sites are first come, first served. The sites have access to toilets and trash cans, but no hookups or dumping stations. “Gold Lake is a gem with spectacular views all around you… There are great trails to hike all over Lakes Basin with spectacular views of many different lakes. There are also an off-road vehicle campsites. Gold Lake itself is one of the largest in the Basin that allows motorized boats. I would highly recommend this lake for kayakers and hikers, during off season it is extremely peaceful.” —The Dyrt camper Audrey C.
Image from The Dyrt camper Rachel O. The Lost Coast is a 60-mile stretch of wilderness along the ragged coastline of Mendocino and Humboldt Counties, part of the King Range Conservation Area. Hikers and backpackers love the empty sandy beaches, windy bluffs and many possibilities for wildlife sightings. 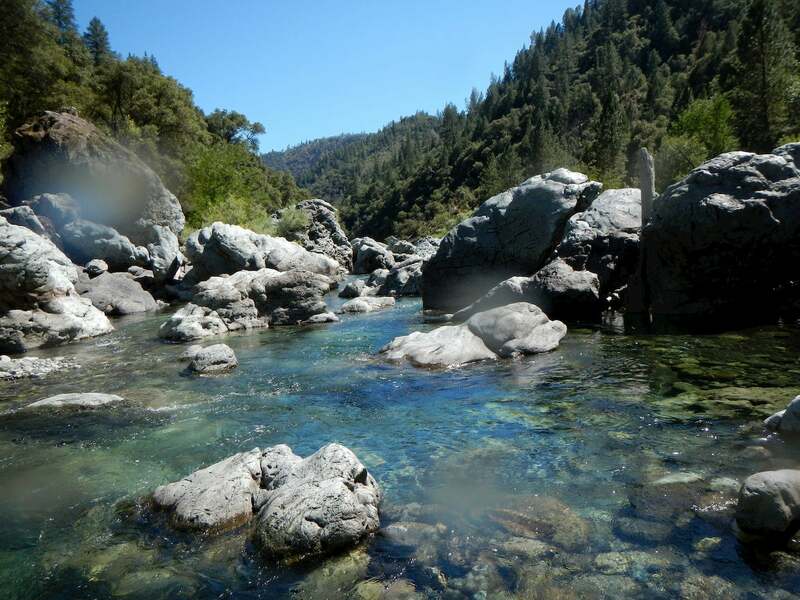 Sinkyone Wilderness State Park lies at the southern portion of the region, and is a perfectly hidden northern California camping option. 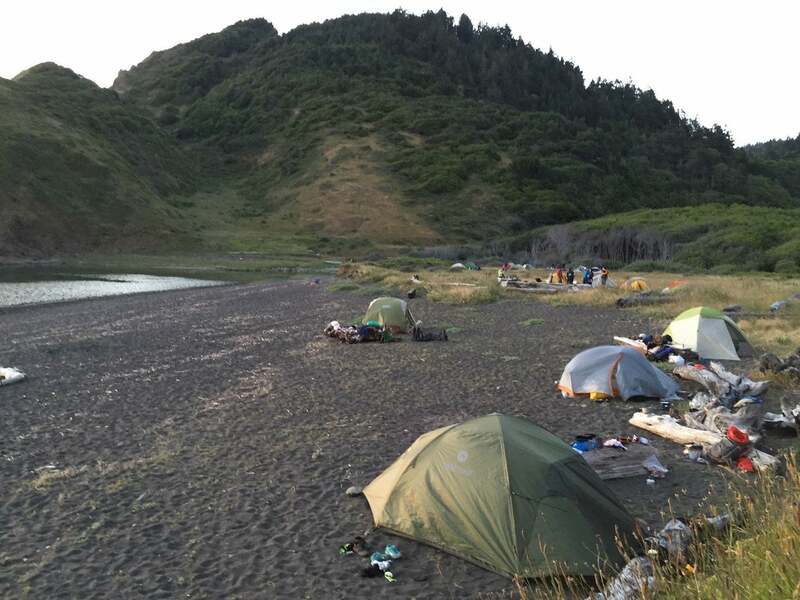 The campground at Usal Beach is the largest and most accessible campground in the park—however, RVs are not recommended because of the difficult road getting in. All 25 sites are first come, first served. There are some sites right on the beach, and some a little more inland among the grasses. There is no fresh running water, so bring your own or bring a good water filter. “I’m lucky enough to live within an hour from this amazing place. Granted it has no facilities as budgets have been hacked and slashed, but this isn’t the kind of place for luxury camping. This is the kind of place that will renew your soul, it will make you feel alive and allow the stress of the everyday world to wash away.” — The Dyrt camper Matthew G.
Many people are drawn to the Lake Tahoe region for its stunning combination of blue alpine lakes, granite peaks and pine tree forests. If you expand your bucket list to Eldorado National Forest, Shasta-Trinity National Forest and Tahoe National Forest, you’ll find plenty of near-empty camping options in northern California with the same majestic mountain vibes. Many take no reservations, and have no or low fees. Silver Fork Campground is one of them. It is located 32.5 miles east of Placerville on Highway 50, near the town of Kyburz. There are 35 first-come, first-served campsites—that includes more than a dozen sites for RVs, though there are no hook-ups or dump stations. Facilities include running water, toilets and trash cans. Campers can fish or swim in the nearby Silver Fork of the American River. 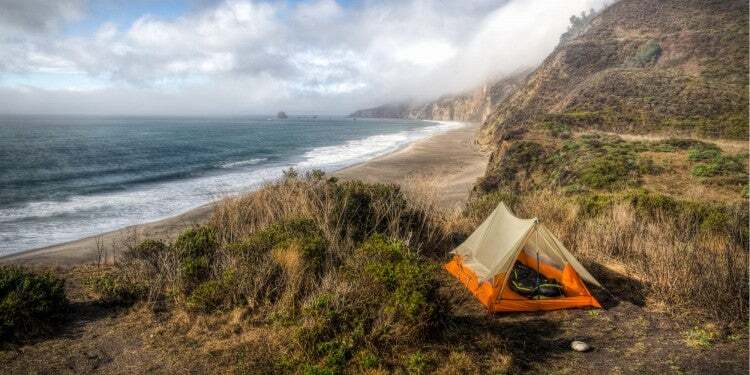 “One of the best places I have ever camped! Beautiful location right on the river. The bathrooms are spotless clean and everything is very tidy. Campsites are even swept before your stay.” — The Dyrt camper Alisyn G.